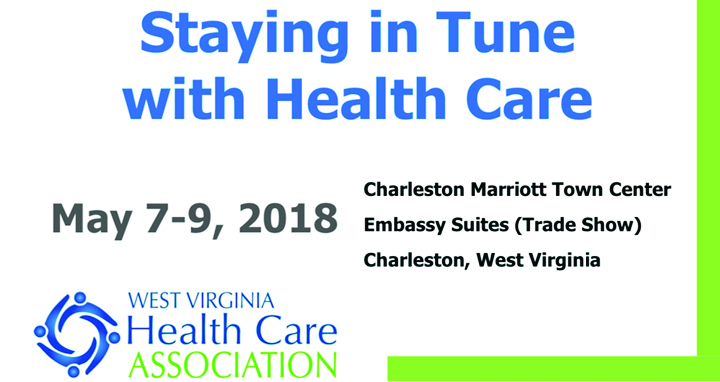 The West Virginia Health Care Association (WVHCA) 2018 Annual Convention and Trade Show takes place May 7-9 in Charleston, WV. Pathway Health’s Louann Lawson and Leah Killian-Smith will attend and offer insight on, “Staying in Tune with Health Care,” through a number of presentations. “Antibiotic Stewardship – Key Clinical Strategies for Successful Outcomes,” from 2:00 p.m. – 3:15 p.m.
“Infection Prevention and Control – Changes, Updates and Quality Results!” from 3:30 p.m. – 4:45 p.m.
“New Survey Process: Lessons Learned,” from 8:30 a.m. – 9:45 a.m.
“Purposeful Preparation for Phase 3,” from 1:15 p.m. – 2:30 pm.